An increasing amount of millennials are struggling with the always-on expectations of jobs across economic sectors.1 It’s no secret. 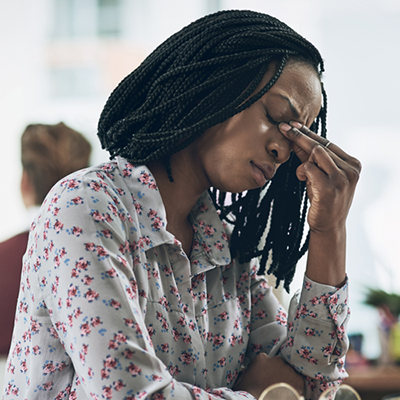 But more corporate women in their thirties are suffering from burnout due to severe stress and excessive working hours.2 What is the cause of this, and how can you rectify it? A recent study by McKinsey shows women in the US account for 53% of corporate entry-level jobs, while they only hold 37% of mid-management roles. 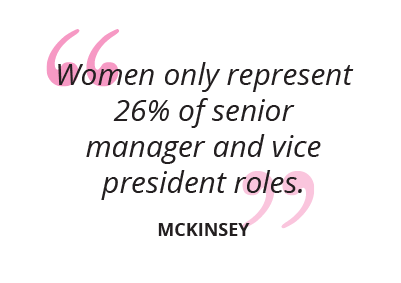 This number drops even further, to 26% for Senior Managers and Vice Presidents.3 This is indicative of a significant gender disparity the higher you travel up the corporate ladder. However, many of the high expectations set upon the young workforce are self-imposed. With smartphones and the Internet of Things (IoT) making it increasingly easy to remain switched on. Many professionals endure the very real task of constantly checking their mail at night, replying to IMs about work, and continuously grinding away into the early hours of the morning. Far too many office cultures and managers today don’t demonstrate this restraint themselves, failing to set the example for their employees, making it a case of, if I’m doing it, so should you. When work comes in at all hours of the day, it can be difficult to set and maintain appropriate boundaries that keep it contained, and allow for appropriate renewal and rest. This is particularly true in competitive sectors and roles, where many professionals see a perceived line out the door of hungry candidates vying to be their replacements. Why are women burning out faster than their male colleagues? The traditional way of thinking – where men are expected to be the breadwinners, and women are expected to provide the majority of family care – is no longer. So why are women continuing to carry the burden of school-of-thoughts past? The University of Kansas recently released a study finding that women are burning out at a faster pace than their male colleagues, after studying the attrition rate of journalists.4 The research points to higher levels of overload by women, and illustrates how women experience far higher rates of role overload, and dealing with feelings of inadequacy in completing their assigned duties within an allotted time. It also examines the numbers through the Gender Socialisation Theory, a theory that claims society places specific expectations on people based on their gender from a very young age. But what is there you can do about this? Is it just inevitable that you’ll end up a statistic? You’ll be able to find endless opinions online as to what experts suggest you should or shouldn’t do to prevent burnout. But most seem to agree that it’s always worthwhile to focus on the process as a learning experience. One of the best things you can do if you fear you’re burning out is to go easier on yourself and take a break. It also helps to be intentional about your next move. If you’re in a career that doesn’t hold your attention, doesn’t offer you any satisfaction, and you’re not passionate about, chances are you’re going to burn out. Work isn’t fun all the time, but it shouldn’t be a punishment, either. It’s also important to note it shouldn’t only be on you to ensure you don’t burn out. Hold your organisation accountable and ask the right questions. If you feel you’re working too hard, let your manager know, perhaps there’s a solution to your problem, or there’s a way for you to unwind at your office. Beyond unrealistic expectations, many millennials experience burnout at around age 30 as they enjoy a low level of satisfaction with their jobs, and fail to identify a clear career path. With trade wars, nationalism, protectionism and many other factors affecting the global economy, many candidates can’t even look four years into the future, much less project a 20-year career path. If you’re looking to make a career change, consider taking an online course from the world’s leading universities and break into a new role. Browse our range of short courses from the world’s top universities.